Unfortunately, using non Google services to authenticate (Accounts) and to describe (Profiles) made Following more complicated than it might be otherwise. During the past weekend, Blogger started the process of simplifying Following. This involves removing non Google accounts and profiles from Following. The rewrite will simplify the login options - and the login process. Right now, potential Followers see a lot of choices that mean very little to them. 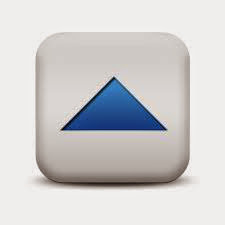 Who cares about AIM, Netlog, or OpenID? The rewrite will provide a login more like Google "One account" - and make logging in, to Following, easier for all of us. The Followers count is an immediate concern, for some of us. Right now, I am trying to reconcile the discrepancy between January 11 (when Blogger Engineering claims we will start to see a decrease in the blog Follower count), and December 18 - 20 (when we actually did see a decrease). The decrease, which started late Friday December 18, was not insignificant. This blog went from 5,343 to 5,104 Followers, in less than 24 hours. If you compare the icons, you'll see that I may have actually "gained" 3 Followers - while going from 5,343 to 5,104. Presumably my own lost 242 Followers had non Google accounts - and are now unable to access this blog, using Followers. There are half a dozen topics, in Blogger Help Forum: Get Help with an Issue - where some wait, in vain. I really hope Blogger can bring back our numbers. I don't think that your numbers are coming back - and I just hope that we don't lose more. Just do not be confused about the scope of the coming changes. Thank you for this post. I lost 5 followers yesterday and wondered what happened. I lost 9 in the past few days, bummed me out. Ah! That explains why I had 4 fewer followers today than I did last time I checked. I only had 116, so the loss of even 4 was noticeable. Yes, I think a lot of us initially thought it was just blogger having an epi!!! I lost 6 myself. You gotta wonder why, since it wasn't broken, they chose to "fix" it!!! Chuck, I think we've all now seen the language explaining what's (already happened) going to happen on January 11. Could you do a post with a detailed explanation and pictures like you did here explaining how one opens a Google one account or gets to the login to create it? Or will a screen open up when someone tries to open a blog without an account? Right now there are several sites where, when I click to open, I get a "404 or 403 error" and that's it. There is no information on what to do next! I believe I will have a lot of followers impacted by this who won't have a clue what to do after January 11, so if you could do a "what next" post, that would be great and appreciated. If you already have, then excuse me and please point me to it. From your pesty friend Darnell Happy New Year!! Thanks for the question, and for your idealism. I suspect that we will have to wait and see how Blogger provides login to Followers, on 1/11 (or whenever). I would not be surprised if they are still tweaking the GUI, so we have to wait until they unveil it. I am hoping that the effect of the simplification (removing non Google accounts / profiles) means that we will be using a version of Google "One account" login - which will make it easier for everybody. That said, I will certainly produce some tutorial, immediately after they release their changes. I simply have to wait, as you do, until then. Hi Chuck! I saw your very helpful reply to someone on the Blogger GFC help thing and I posted a question as I have a blog but I don't log into the blogger (you know when you sign in) with a Google email address. I have a yahoo one. I've been using that email address for about 11 years on Blogger! When it says that 'non-Google accountprofiles will be removed' does that mean my blog will be deleted since I don't have a Google account profile (or do I since I sign into blogger??) I don't quite understand! 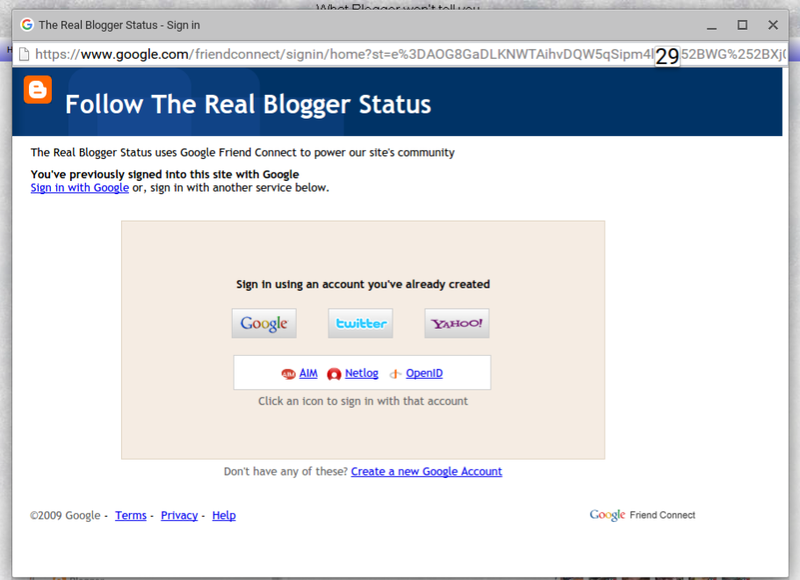 How can I change to a googleaccount since my sign on to my blog is with a different provider. I do not want to lose my blog (of 11 years!!!) because Google haven't explained clearly enough! I totally apologise asking you this as if you are a Google agent who knows everything, I just thought, since you answered someone so helpefully, you might have an idea! Many apologies and thanks!! 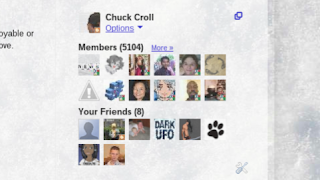 The "non Google accounts / profiles", in the announcement, are accounts and profiles used only in Blogger Followers / Google Friend Connect. 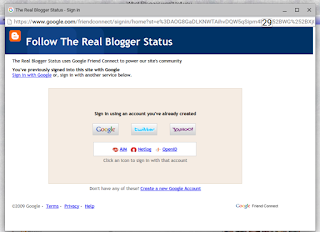 If you have a Blogger account that's based on a non GMail email address, that you use to login the the Blogger dashboard, that will not be affected. They are only cleaning up accounts and profiles, that are used for Following. Thanks for the information. it may not be a cure but at least I now know why I've lost 20 followers in the last few weeks. So frustrating! I'm glad I stumbled across your blog with this article. In December I had close to 1,000 gfc followers and somewhere in the window you mentioned it went down to 955. 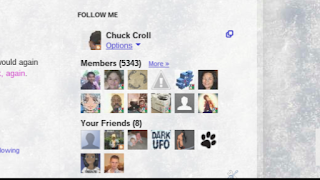 Then last night it went down to 930..very disappointing as I almost hit the 1,000 mark. I'm tempted to remove gfc altogether, but people really do still look for it to follow a blog so I won't just yet.